“Before the introduction of Gathering Tools, we work with a single Excel file. 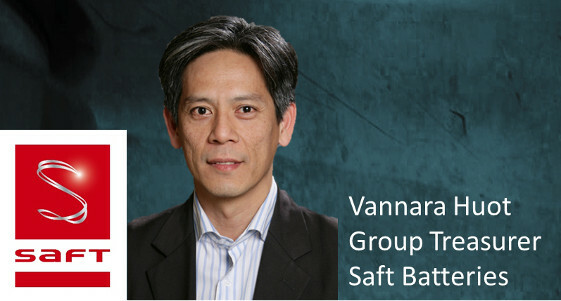 And this file is accessed and modified by one person at a time” reminds Vannara Huot, Group Treasurer Saft Batteries. Main tool in corporate finance functions, the Microsoft spreadsheet is a very flexible software tool. But this flexibility is also its main weakness. “Some people can add columns or cells in a tab without prior consultation”, said Vannara Huot. Saft Batteries Group has 25 subsidiaries, the working file for reporting cash positions therefore comprised 25 tabs with banking subsidiaries in each tab. This file was designed in 2007and did not permit a more dynamic view of risk. “We proceed with the adjustments to the timing of operations, but could not provide any further. We wanted a tool that can give us an exposure time per branch and per currency pair, for example”, says Vannara Huot. Finally, the group wanted to implement cash-based direct method and not on the changes in balance sheet, reporting “that works very well for long periods, but is much less accurate on a monthly basis”, says Vannara Huot. Following the technical validation of the solution, and a confirmed order in May 2011, the GT solution was deployed during the summer, for a start of production scheduled for September. “Via Finance, the recommended Gathering Tools integrator helped us a lot in advance to the functional definition of the project and the feasibility of certain options,” says Vannara Huot. Now, 25 subsidiaries have a tool and a standard methodology. “This new tool like Excel. The interface in Excel to retrieve data information of each user’s system and then import it into the GT questionnaire” details Vannara Huot. “For cash positions, it is requested more information about the maturity and interest rate of deposits”, reports Vannara Huot. Finally, Saft Batteries has enriched information more readily available, with a reduced data entry errors or omissions risk. And plans to expand the use of Gathering Tools to other functions such as auditing or commercial reporting for the U.S. subsidiary that made the request.